Have you ever had Chicken Pot Pie? Interesting question! 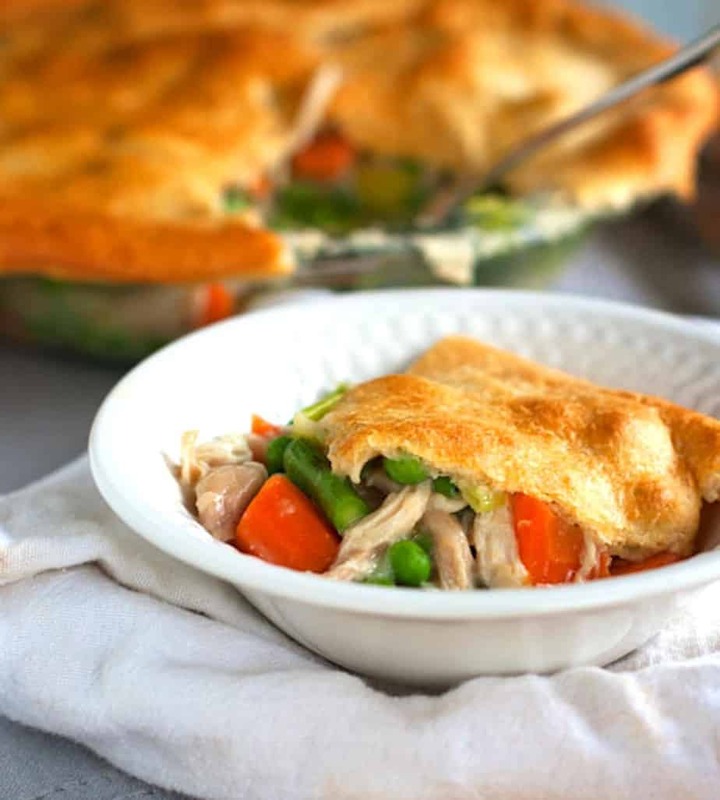 What about Vegetable Chicken Pot Pie? 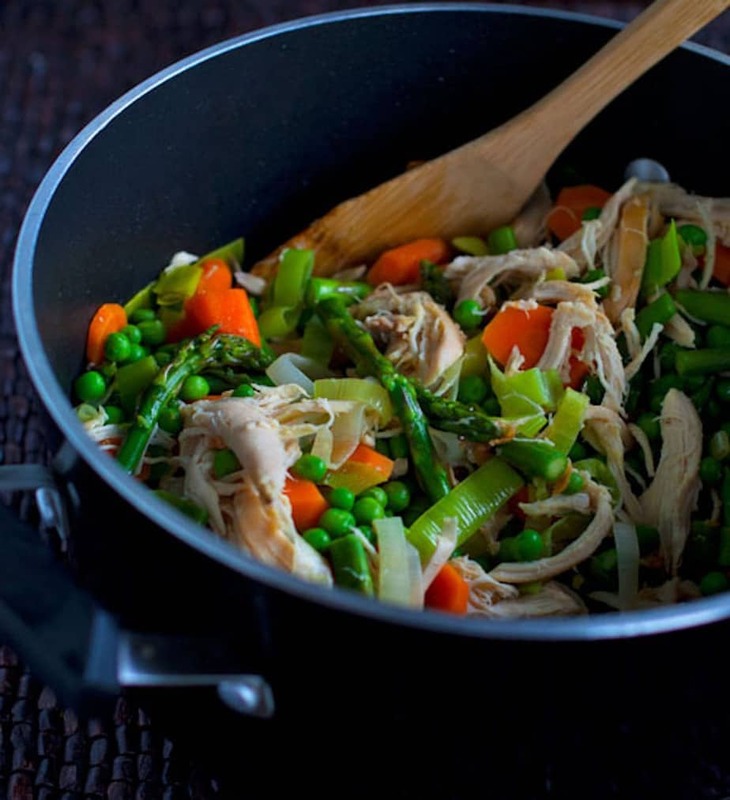 This recipe is a combination of different vegetables, together in the pot with chicken covered with pie. One thing that I want to do in the new year is to evolve in my recipes, especially healthy recipes. I think I mentioned that thing already here in my blog. Yeah, I remember that. And you might agree that what we want is what we make from time to time. Everyone has a distinctive style and art of cooking. Therefore, to make a great outcome, creativity is a must! This recipe is one of them. 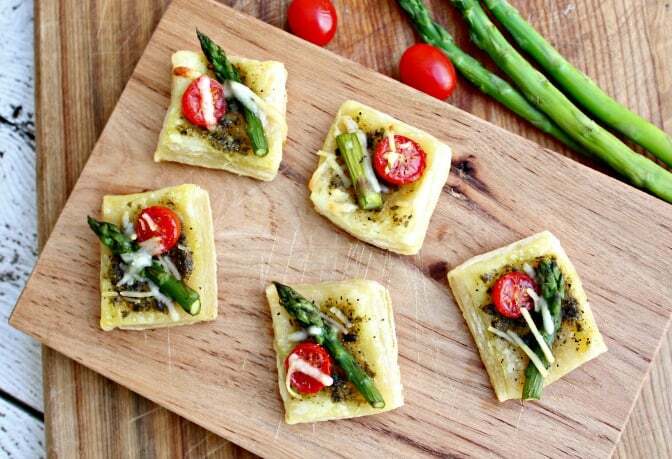 Asparagus– it is loaded with nutrients, like folate, fiber, vitamins A, C, E, and K, as well as chromium, packed with antioxidants, good brain booster, natural diuretic and, it can help fight cancer. Carrots– can also reduce the risk of cancer, lower blood cholesterol, good for weight loss and eye health. Green peas– has a decent amount of heart-healthy minerals, such as potassium magnesium, and calcium. It’s a savory blend of garlic chicken and veggies, smothered in a rich, creamy gravy, covered with golden crust. 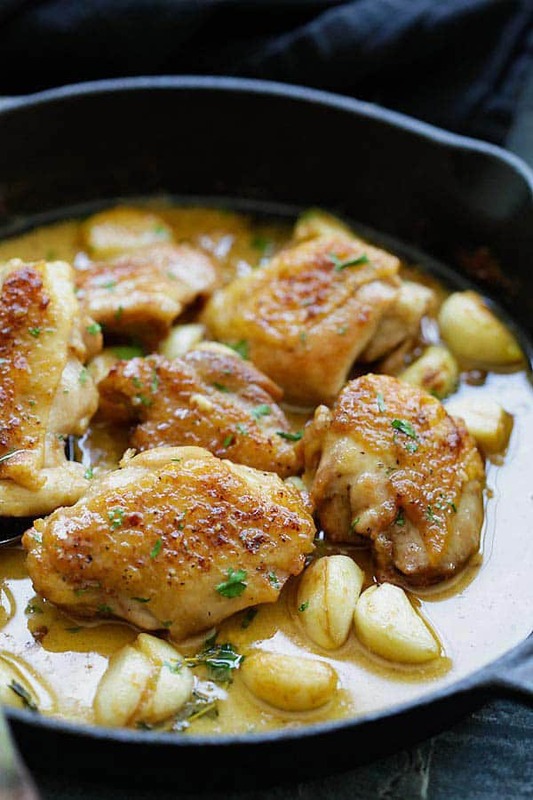 Such a mouthwatering dish! This is definitely the BEST Vegetable Chicken Pot Pie I’ve tried. Doubtful? Just try it and see. Now, what if you’re a vegetarian? Or someone at home is one? There is always a substitute for chicken in vegan, like the Morning Star Farms products. So, no worries! Try this recipe and let me know the outcome. Comments below are appreciated. Melt 1 tbs. butter in a large pot over medium high heat. Add the leeks and carrots and saute for 5 minutes. Add the asparagus and cook for another 5 minutes, or until vegetables are just tender crisp. Remove from heat, stir in frozen peas, and set aside. Shred chicken and add to the pot. Melt 6 tbs. butter in a large saucepan. Add the garlic and gently saute over medium heat for about 1 minute. Add flour and stir until a thick paste forms. Add the stock, 1 cup at a time, whisking after each addition. Season generously with salt and pepper. Sauce should be thick! Add to chicken and vegetables and mix to combine. Pour mixture into a greased pie pan or 9×13 baking dish. Top with crust of your choice, stretching or rolling dough so that it just barely hangs over the edge of your dish (see notes). Bake at 375 for 20-30 minutes, or until the crust is golden brown. Brush the warm crust with 1 tbs. melted butter. Let stand 5-10 minutes before serving. This is best served the same day that it’s baked.